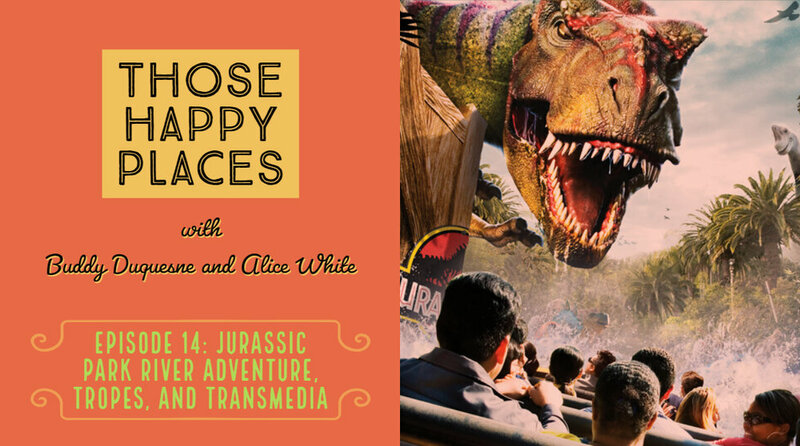 In this biting episode, Alice and Buddy take on the soon-to-be-refurbished Jurassic Park River Adventure. They discuss Universal's penchant for strange Intellectual Property choices, the history of the ride's development, its relationship to Transmedia storytelling, and its use of a popular ride trope. Plus, an aside on the Lysine Contingency!